Dr Graffeo received a B.A. in Biology from Indiana University in Bloomington. He continued his education at one of the country's top Dental Schools, the Indiana University School of Dentistry in Indianapolis receiving a DDS in 1985. Upon graduation Dr. Graffeo entered his father's established dental practice in New York. This tremendous opportunity provided him with an exceptionally skilled mentor and a patient base seeking cosmetic dentistry. For over twenty years Dr. Graffeo has built a reputation among his patients for highly esthetic porcelain laminate veneers , cosmetic restorations, and full mouth reconstructive dentistry. As a general practitioner, Dr Graffeo is comfortable with all phases of dentistry whether you need full mouth reconstruction or just a small filling. While there is no official dental specialty for cosmetics, Dr. Graffeo has extensive experience in this area and it has become a large part of his general dental practice. 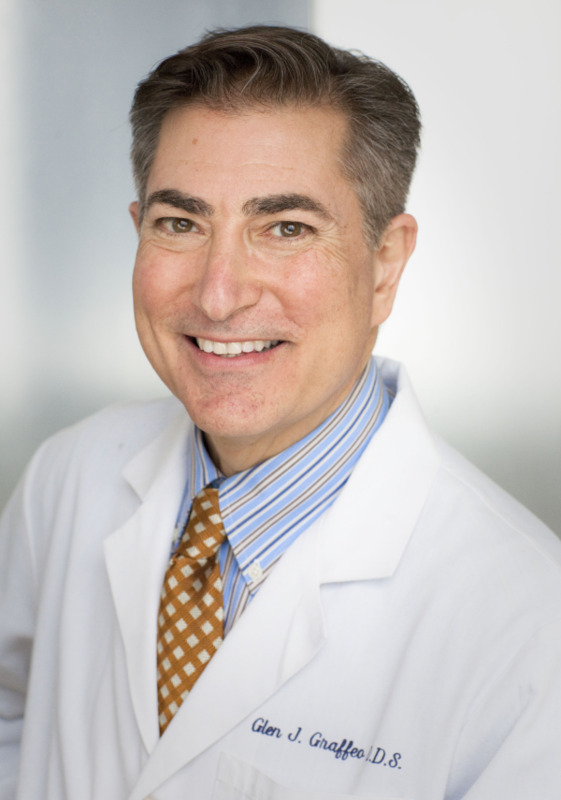 Dr. Graffeo is sought out as an expert in cosmetic dentistry and is often quoted in magazines such as "Health Magazine" and "Natural Health Magazine". He is consistently listed as one of America's Top Dentists. You can follow Dr. Graffeo on Facebook (@RockCenterDentist) or on Instagram (@glengraffeo_dds_). We invite you to contact Glen Graffeo DDS at 212-245-5158 for all of your Cosmetic Dentistry and Dental Veneers questions.